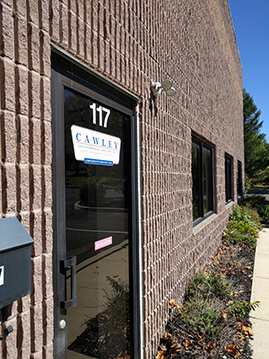 About – Cawley Environmental Services, Inc.
Cawley Environmental Services, Inc. (CES) has been in operation for over 21 years specializing in consultation, operations, maintenance, and management services for water and wastewater treatment facilities. We are certified by the Pennsylvania Department of Environmental Protection Agency and the Delaware Department of Natural Resources and Environmental Control to operate, maintain, and manage water and wastewater treatment facilities throughout Pennsylvania, Delaware and surrounding areas. We are accustomed to dealing with these agencies and maintain a high standard with documentation, allowing our clients to consistently achieve regulatory compliance. Our personnel are qualified and committed to providing professional service, while facilitating compliance with applicable regulations set forth by local, state and federal governmental agencies. We make sure our operators' certification is always kept current and supplemented by continuing education so that we are able to use the most up-to-date information and technology available to service your system. Using our expertise in navigating the numerous regulations governing water care and treatment, we offer regular onsite operations, maintenance and 24-hour emergency services, execute mandated testing, provide disposal services and submit compliance reports with appropriate governing agencies. 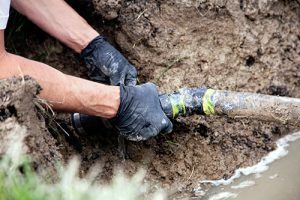 Whether you need someone to maintain your small residential water/wastewater system or require oversight of daily operations at your commercially owned facility, our certified operators are happy to offer their high quality services. We are also happy to advise our customers on ways to optimize their system and suggest any changes or additions that may benefit them. Give us a call or send us an email if you're in need of a water/wastewater-related service not detailed on our website - we may yet be able to help! Click here for profiles of projects we've done, or visit our Homeowners or Commercial/Industrial pages for more information about the services we provide for our different clients. We work with a very diverse clientele - from single residences to municipalities and all the in-between. We are proud to serve our local schools, hospitals, campgrounds, businesses, housing communities and more! 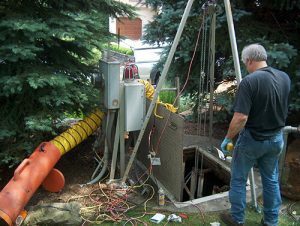 We work alongside local construction companies, septic companies and with a PA DEP certified environmental testing laboratory to bring you the highest quality of service possible.